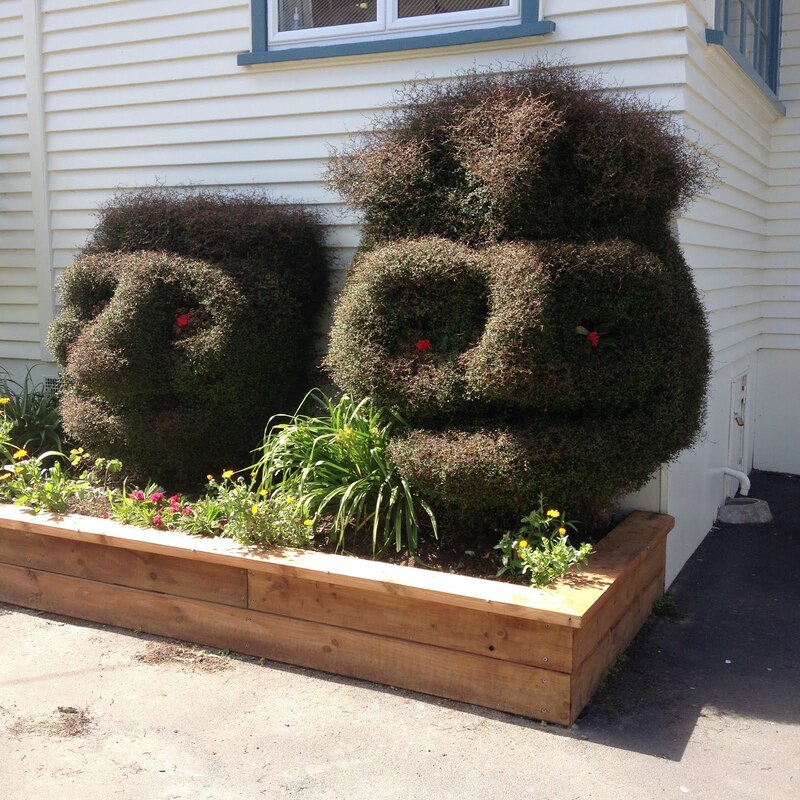 Its impossible to not notice autumn at Hamilton East school! 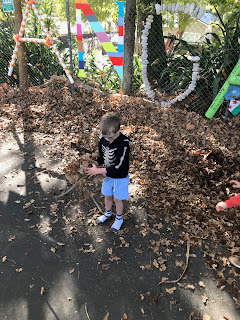 There are leaves falling everywhere. 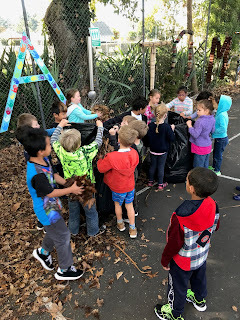 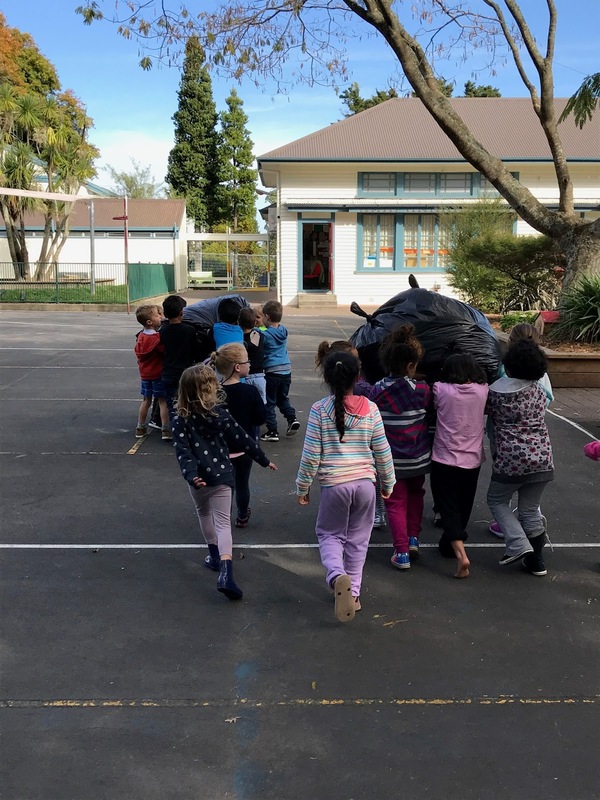 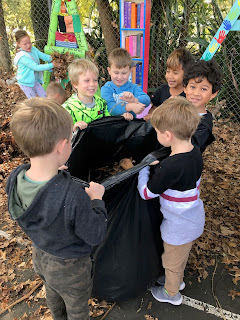 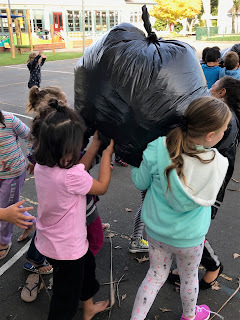 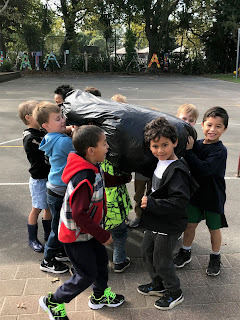 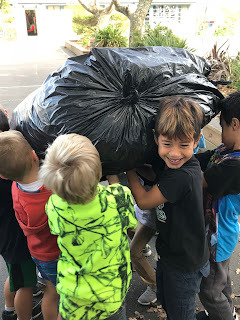 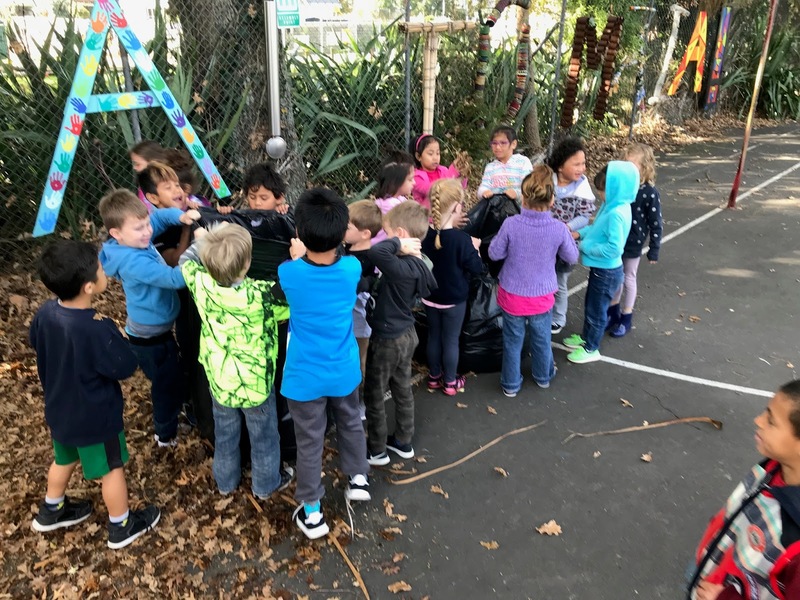 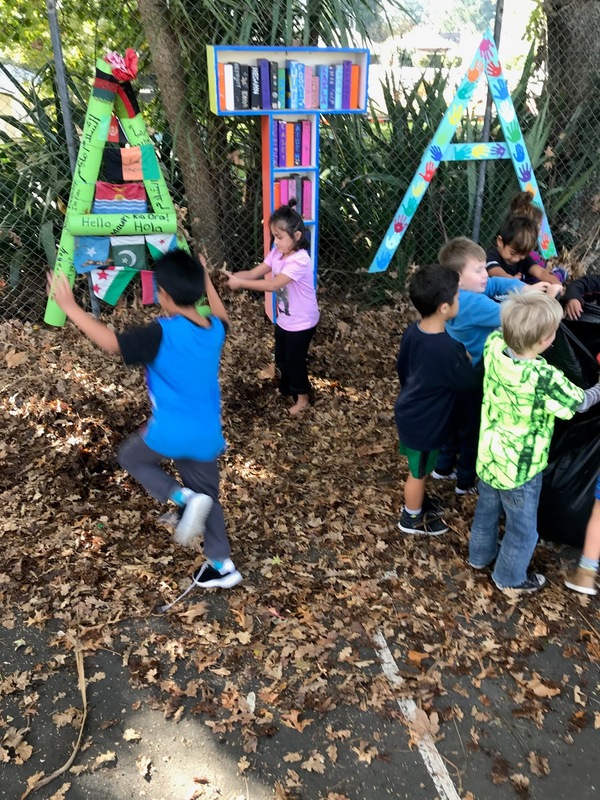 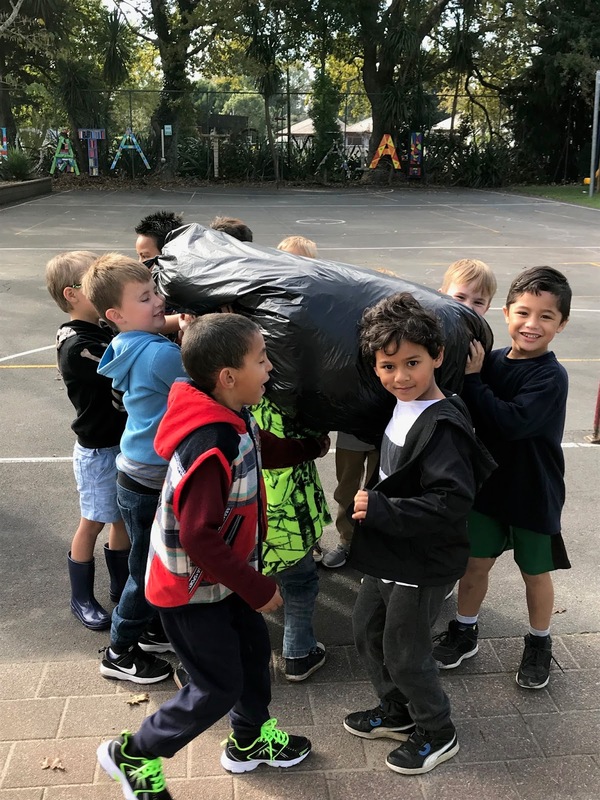 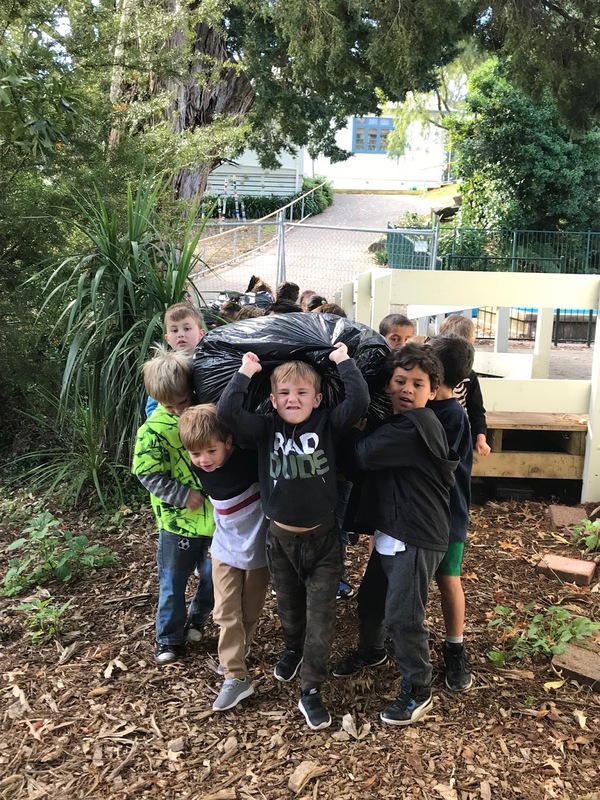 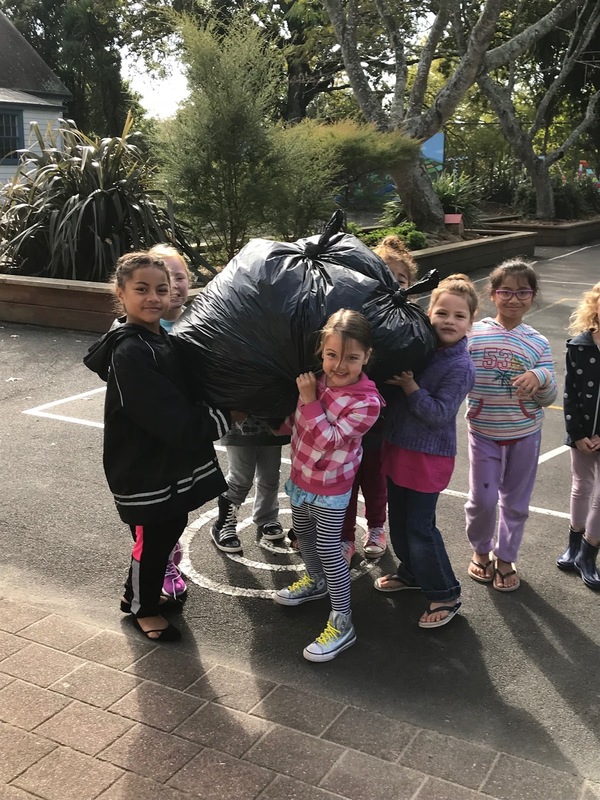 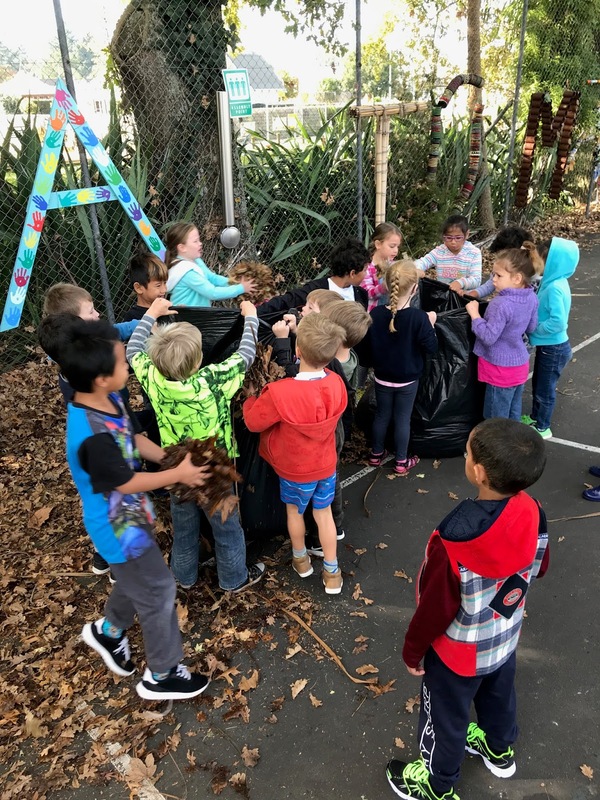 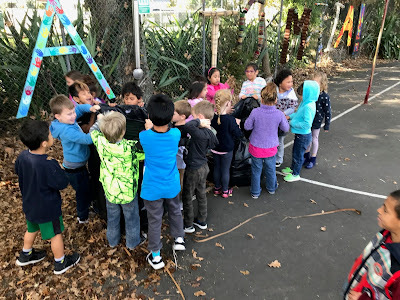 We filled some black sacks with leaves. 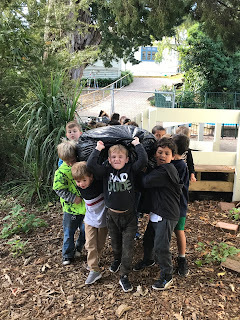 We carried the big sacks. 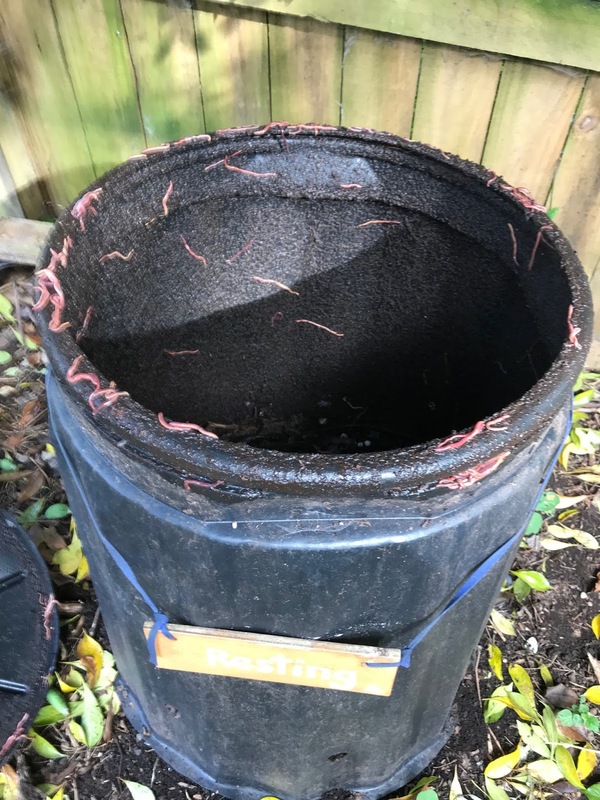 They were light but very bulky. 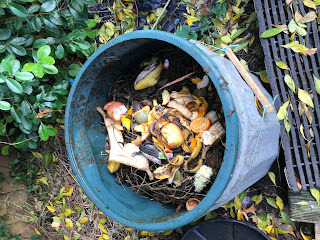 The compost bins are full of fruit skins. 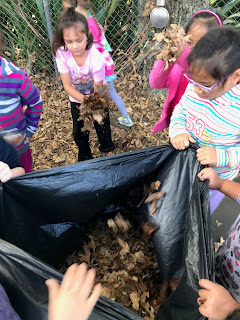 We put leaves on top of the skins to make the compost rich and make food for the worms. 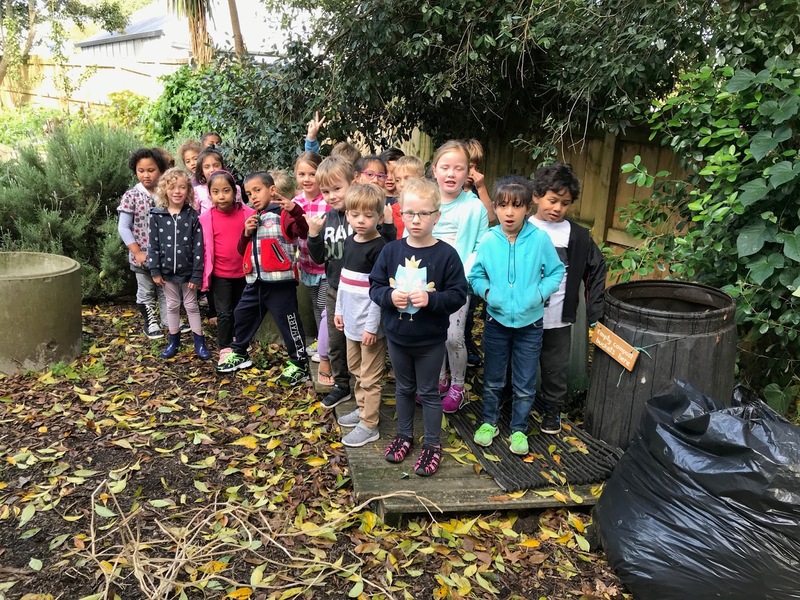 Here we are in the kitchen gardens beside one of the compost bins. This is what the bin looked like before we added the leaves. 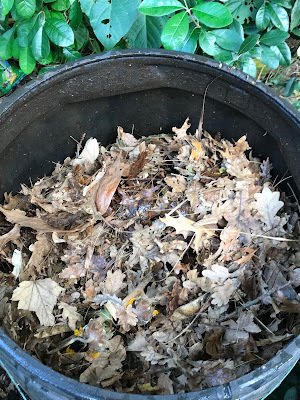 This bin is ready to empty onto the garden. 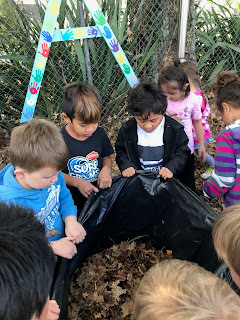 Meanwhile, back in the classroom, we collected leaves for another purpose. 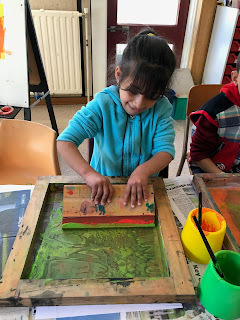 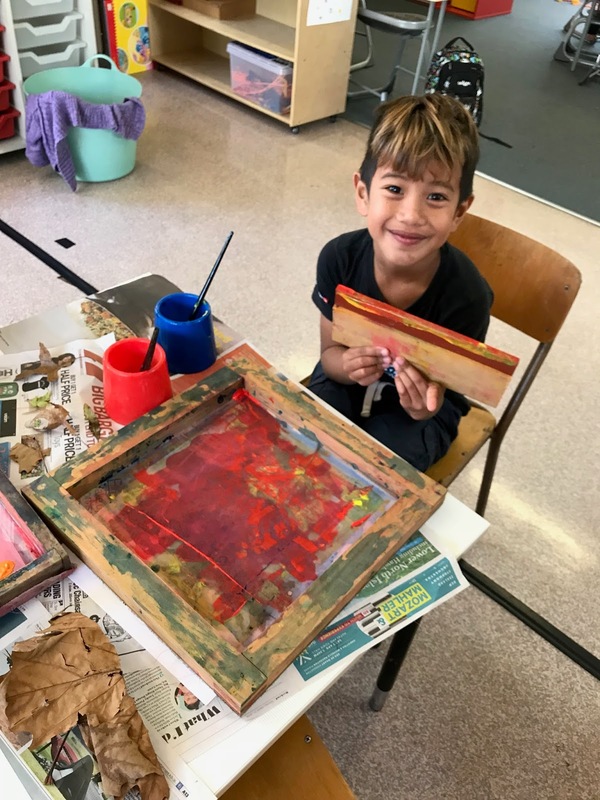 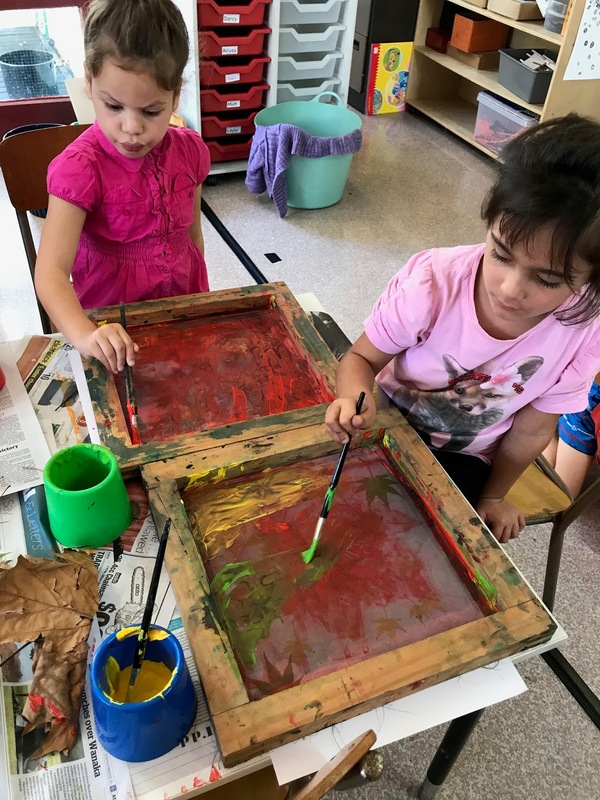 Art making using screen printing. Red paint ready to turn the leaves red. 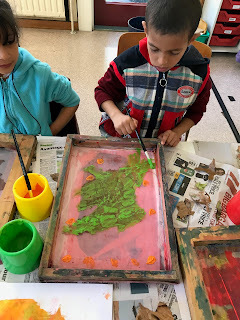 and spread paint on the screen. are printed onto the paper. 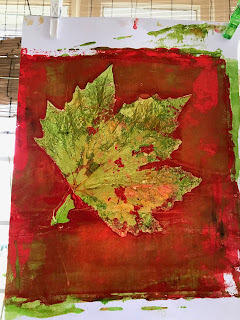 already been used to make a print. 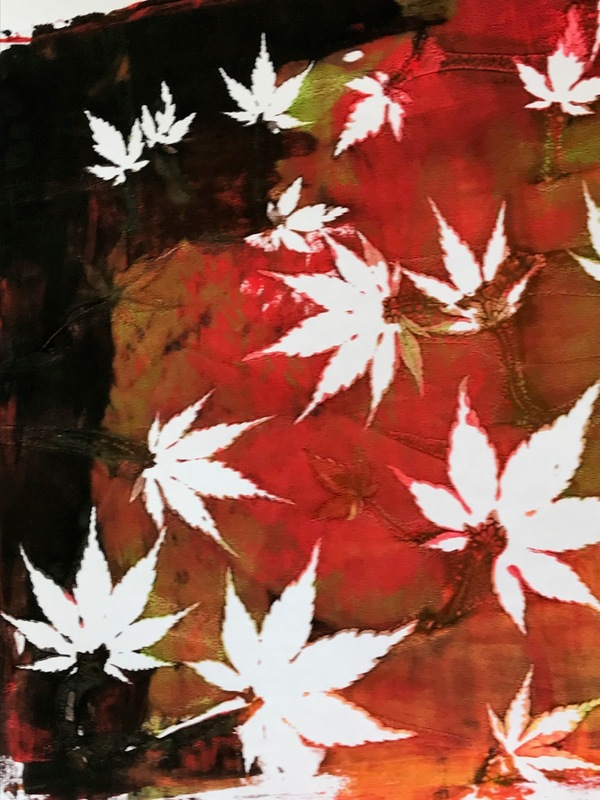 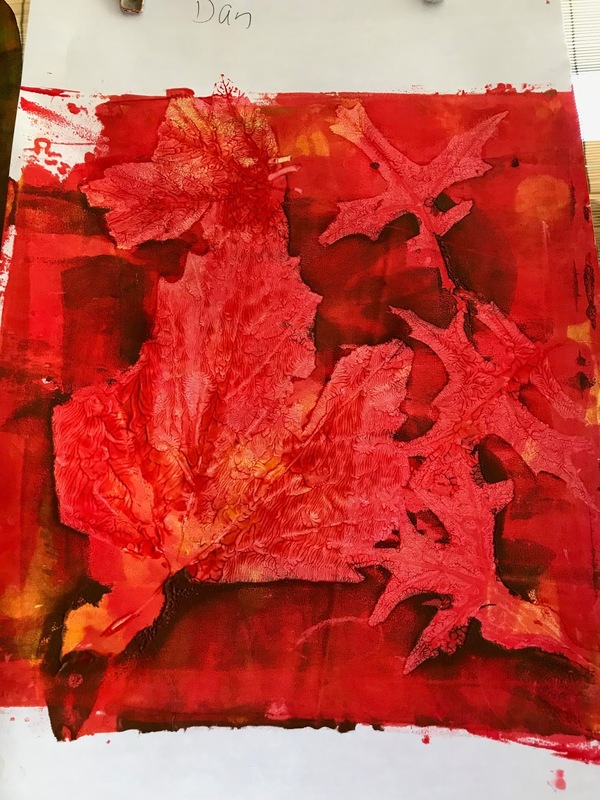 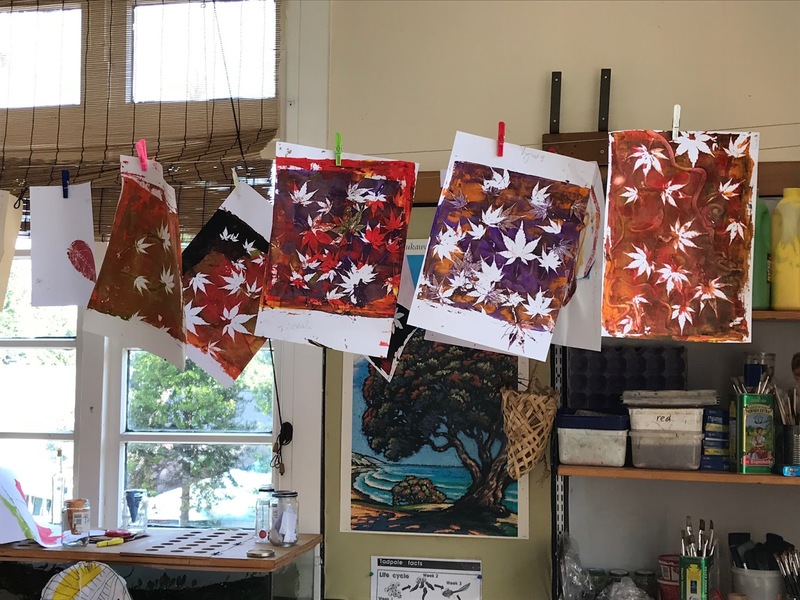 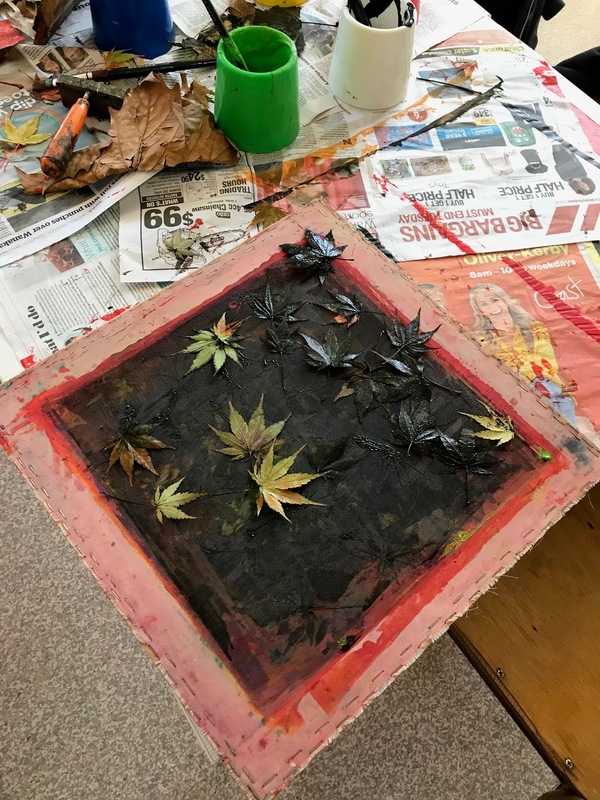 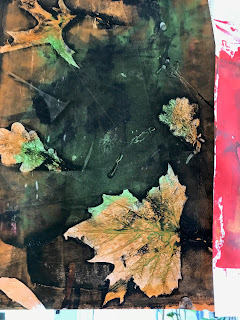 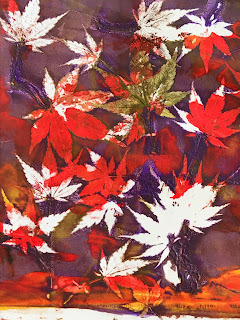 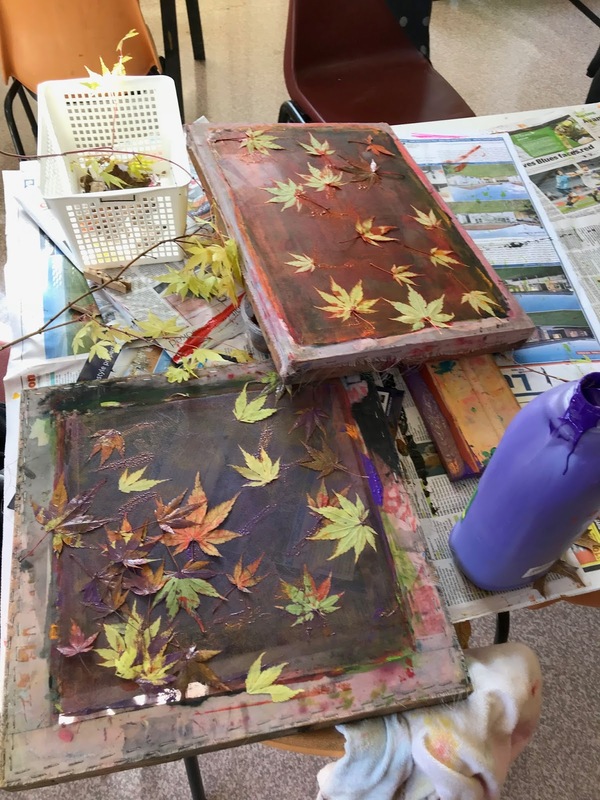 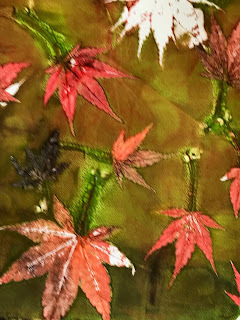 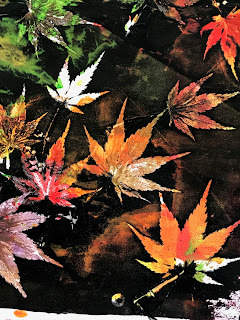 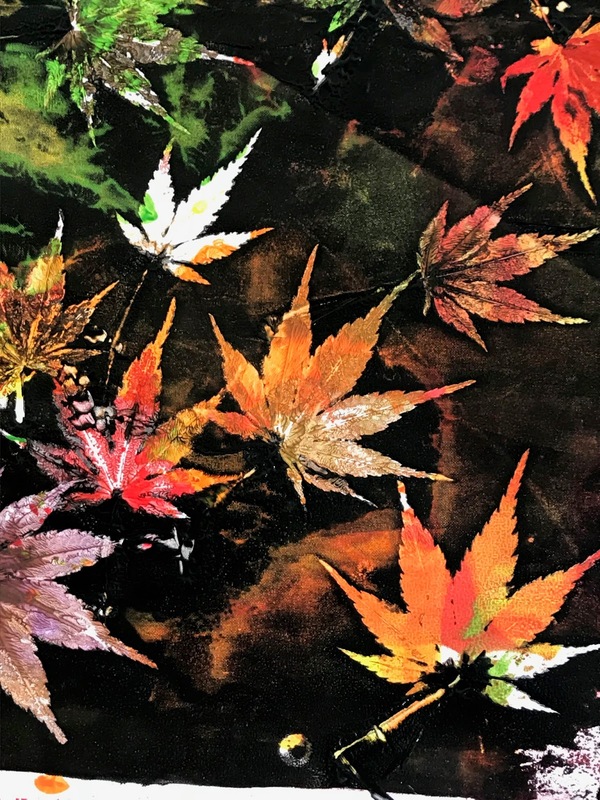 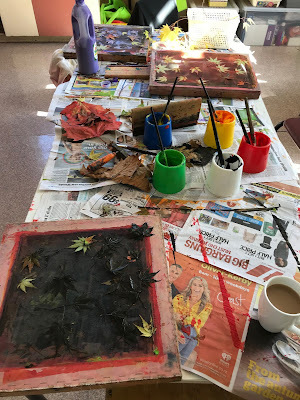 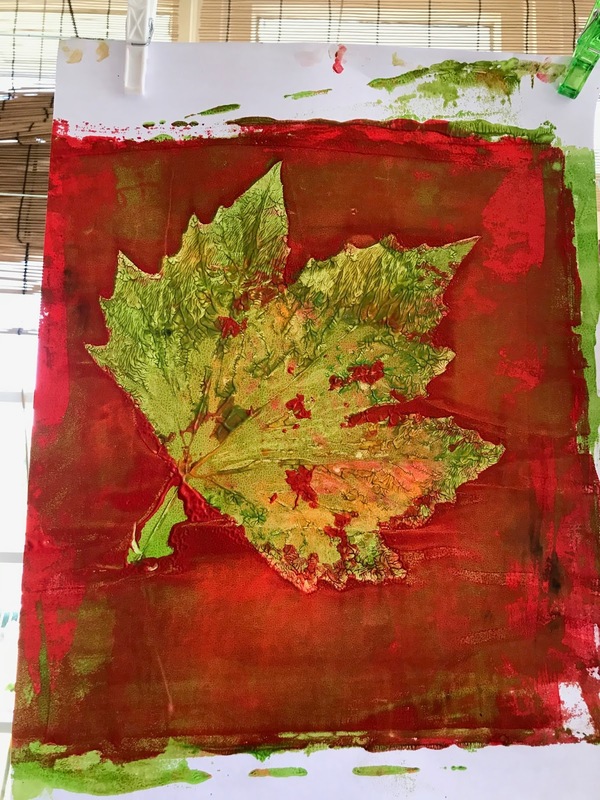 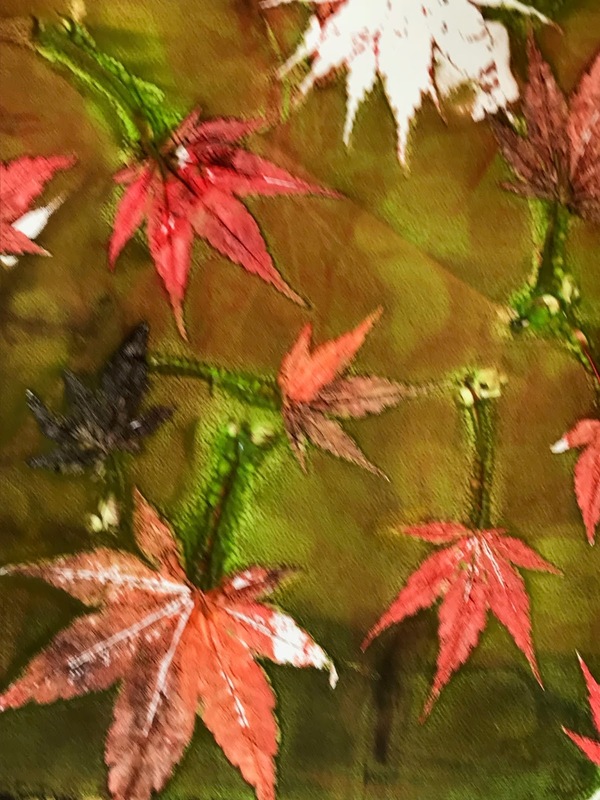 Here are some of the first prints of maple leaves from the tree at the front of the school. Screenprinting is wonderful, but very messy. Maia found this spider in the playground. 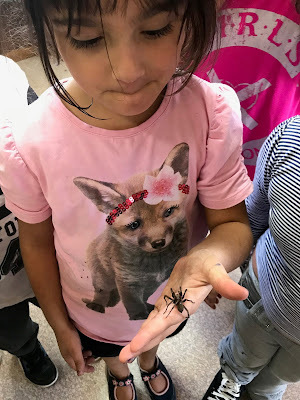 Is it a Huntsman? I think the little dog is very interested.